MooseBay Greenhouses came to life in 2007 with the Kraushaar family's ambition and dream of always wanting to venture into the plant business. I knew that when the local "Greenhouse Lady" retired there was no better time than the present so, with little experience, perserverance and a whole lot of passion I became the new "Greenhouse Lady" of Grayson. Owning the greenhouse has given me the opportunity to pursue my lifetime passion of having a "green thumb". I welcome the challenge of learning new information and offering top service and superior products to my customers. I enjoy visiting with past customers and meeting new ones. 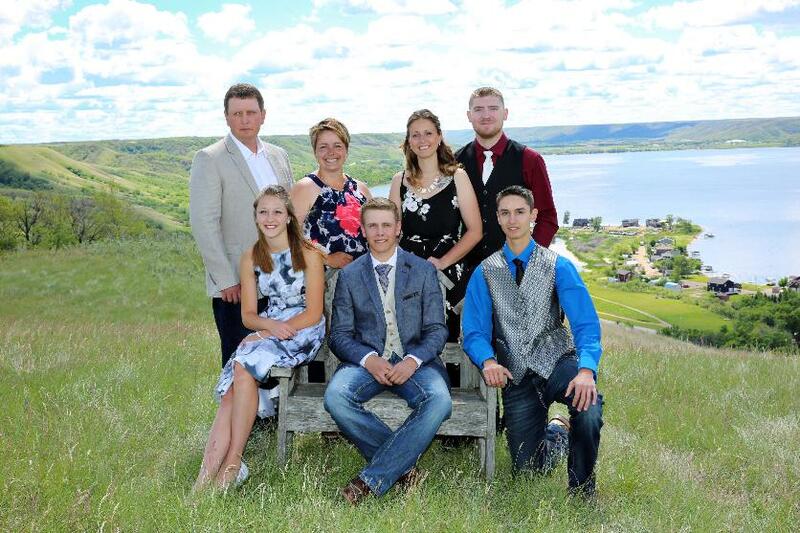 MooseBay Greenhouses was chosen as the name of our business and farm because MooseBay, a nearby lake resort, in the Qu'Appelle valley has special connections for our family. It was the place my parents met and a place our family has celebrated many memorable occasions. Also, our location is just above the valley off of MooseBay road. My husband, Cory, and I are farming, greenhouse partners, and parents to four wonderful children, Janelle, Tyler, Ryan, and Katelyn who are also very involved in the family enterprises. We enjoy spending time as a family camping, snowmobiling and being community volunteers. MooseBay Greenhouses is a family based business that is extremely grateful for the support of family, friends, and neighbors who enjoy gardening as much as we do. Our greenhouse encourages commitment to family and community, learning, perserverance, and fellowship.